‘Een hewige kanon en maxim vuur vindt nou plaats. Volgens rapport trek de vyand van Ladysmith ongeveer half-drie en heefdt een van ons groot kanonen genomen. Verschillende commandos hubben posities genomen ongeveer 800 treden van kantoor af en wacht op aanval van vyand – zal u later meer vuldig berichten.’ (‘A heavy exchange of cannon and Maxim fire is underway. According to reports the enemy left Ladysmith at approximately 02.30 and captured one of our big cannons. 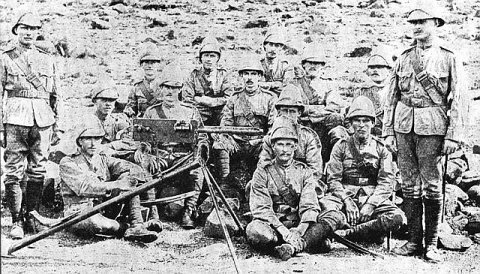 Various commandos are in positions approximately 800 metres away and await an attack by the enemy – will inform you later in more detail.’ [NAR, Leyds 712f, telegram, Joubert to Botha, 9 December 1899]). (L Changuion, Silence of the Guns, p 55). In a Reuter’s cablegram of 12 December, the burghers at Ladysmith offered the rather weak excuse that the attack could not have succeeded had a search-light been situated on Lombard’s Kop. 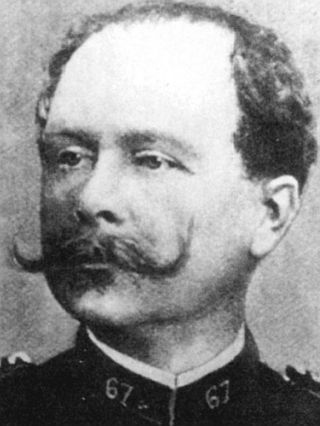 Possibly the least impressed of all in the Boer ranks was the aged, weary, and sick Joubert himself. By the morning of 9 December, the patriarchal Joubert had reflected sufficiently on the incident and its implications to formulate a cutting and grimly sarcastic telegram to Louis Botha at Colenso. He opened by announcing that the siege commandos had been presented with ‘een ernstige les en waarschuwing’ (‘a serious lesson and warning’), suggesting that the complacent burghers were in the habit of retiring in the evening as if they were at home in bed! As if reprimanding errant children, he reminded Botha of his own precautions when on commando: ‘Zoolang ik op commando gezond ben slaap ik met myn patroon band om myn lyf en myn geweer in myn arm, en dan des morgens 2 uur voor dagstaat ook myn paard gereed.’ (‘While I am on commando I sleep with my cartridge-belt around my body and my gun in my arm, and also awake at 02.00 to prepare my horse’) (NAR, Leyds 712f, telegram, Joubert to Botha, 9 December 1899). are a Long Tom shell and a rammer with a Union Jack attached. (L Changuion, Silence of the Guns, p 56).] However, despite this entire furore surrounding the raid, another telegram, possibly intended for public consumption, and found in Vryheid when British troops occupied that Transvaal town in September 1900, paints a very different picture, considerably down playing the impact and significance of the operation. It reported on 8 December that, ‘[i]t appears, from [a] report, that the enemy made a surprise attack last night [7 December] on Lombard’s Kop, Ladysmith, one of our large cannon and a howitzer being damaged, and a small hand-maxim carried off by them. The cannon, however, will be repaired as soon as possible. The kop (hill) remained in our possession.’ (Dutch Official Telegrams, p 23, 8 December 1899). (L Changuion, Silence of the Guns, p 53). An inquiry, conducted by the Transvaal State Attorney, Jan Smuts, was duly convened in February 1900, operational demands having precluded an earlier date. Erasmus requested to be placed under voluntary arrest, and all officers on duty at Gun Hill on the night in question were reduced to the ranks. 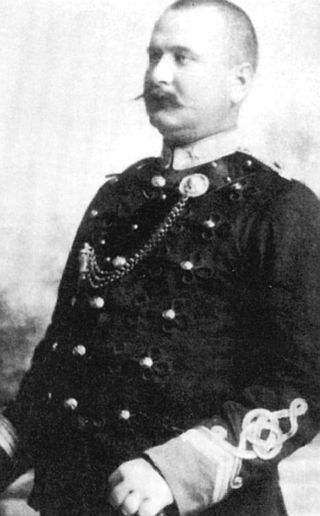 Some time later the Boer leadership, who had been shaken out of their complacency, also belatedly sought to inject some enthusiasm into the burghers, and venom into their siege, by offering incentives or ‘rewards’ for the destruction or capture of British guns. Security around gun emplacements was also improved, and those in extreme forward positions on heights such as Gun Hill were to be withdrawn at night to more easily defended positions. According to the diary of D Howard Gill (31 December 1899), the Boers since the attack ‘have made all their positions frightfully strong, with sangars, wire entanglements, brushwood abattis and probably landmines’. Breytenbach, J H, Geskiedenis van die Tweede Vryheidsoorlog 1899-1902, Volume II (Pretoria, Die Staatsdrukker, 1971). Gedenkboek van den Oorlog in Zuid-Afrika (Amsterdam-Kaapstad, Hollandsch-Afrikaansche Uitgewers Maatschappij, 1904). Macdonald, Donald, How We Kept the Flag Flying: The Story of the Siege of Ladysmith (London, Ward, Lock & Co, 1900 [Reprint edition, Weltrevreden Park, Covos Books, 1999]). Natal Witness, 28 February 1910. National Archives Repository (NAR): Leyds 712e, war telegrams, Major Erasmus to Joubert, Volksrust, 4.30am, 8 December 1899, and telegram, Joubert to Botha, 9 December 1899. 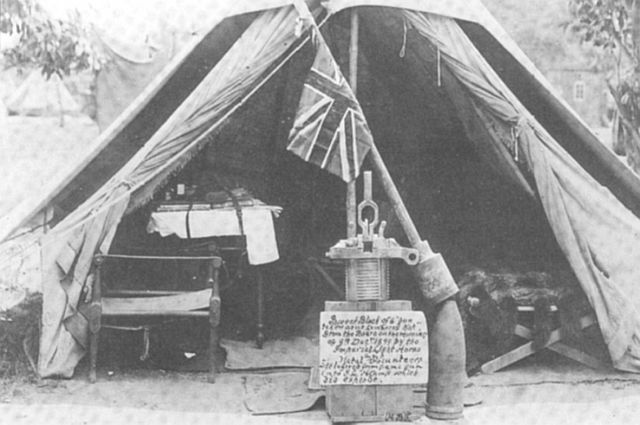 Siege Museum, Ladysmith: Reuter’s cablegrams, 10 December 1899, and Dutch Official Telegrams. UNISA Archives: Gill diary, 31 December 1899. Warwick, Peter (ed), The South African War: The Anglo-Boer War 1899-1902 (London, Longman, 1980).